Lochaber Geopark went to the Wonder Match event at Glasgow Women’s Library, which was organised by National Co-ordinating Centre for Public Engagement (NCCPE) and the Science & Technology Facilities Council (STFC), on Monday 12th November. 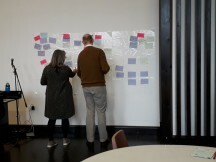 This event Wonder Match is the perfect opportunity for community organisations and researchers to meet together and develop ideas for engagement activities. 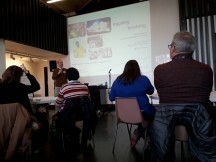 Based on a highly effective approach, Wonder Match is a series of partnership-building events designed to support community organisations and researchers to work together to encourage diverse audiences to engage with science. 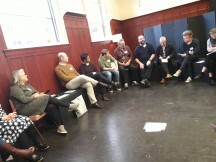 The event had a lot of interactive workshops, discussions and time for ideas to develop. From this we have made new connections with other community-based organisations and Universities. Ideas and discussions have been sparked, so look forward to new partnerships. Thank you to FTFC and NCCPE for the opportunity to go to this event in a lovely building!